In case you missed anything, here's a recap of what was posted Saturday, June 4th through Friday, June 10th. + I am so behind this week! I have replied to all your comments, but I haven't had time this week to send out the email notices. Sorry! I'd like to give a huge thank you to everyone who filled out the survey for me! I've looked over your responses and I've already implemented a few changes. You may have noticed the sidebars are a little different now. I'll also be making a few changes to my schedule based on your responses. Cover reviews had the highest number of mixed responses, so I'll be reducing them down to once a month and probably shortening them a bit. They'll also be posted on a Sunday now instead of a Monday. IMM will stay, but I'll probably do it once every two weeks instead of every week. Waiting on Wednesday will also stay, but No More Waiting will replace it once a month. I'd love to do it more often, but they take a very long time to put together and I don't think my wallet could handle it if I spent anymore time looking at sales. Don't worry, Review Comparison, Discussions, Spotlight Lists, and the Tips and Tricks posts won't be going anywhere! A number of you were adorably worried that I would get rid of them but they all seem to be overwhelmingly liked so they'll be staying. I'm shooting for one Review Comparison post and one Discussion post per month, probably on a Tuesday and a Sunday, respectively. 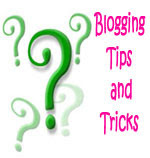 Spotlight Lists and Tips and Tricks will remain a twice-monthly feature on Thursdays. I will be keeping the Recap posts both because a number of you said you liked them, but also because they are helpful to me. They will stay on Fridays. Saturday reviews will be eliminated. Instead, those reviews will be posted on Mondays now as it seems traffic is highest at the beginning of the week and lessens over Friday-Saturday. I'm not sure what to do with the email messages. It seems a little more than half who filled out the survey like them, but enough don't want to receive them. They are fairly time consuming to do (though I don't mind at all if you want them), so I think the easiest thing to do is if you do want to receive email messages, let me know in the comments and I'll keep it up for you. If you don't tell me you want to get them, then you won't get them anymore. I'll keep the email notices for a short while with the option to opt-in or out, just in case you miss this post. How does this sound? Have I bored you yet? If you're still here, I'd love to hear your thoughts on the changes made either here in the comments or feel free to shoot me an email. Your preferences matter to me a lot, so please don't hesitate to let me know how you feel about these changes! 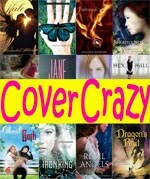 Cascade by Lisa T. Bergren giveaway! Reviews to come on all of these. I'm still enjoying the series! (Though it's no Harry Potter). I am glad you are keeping most of your features. 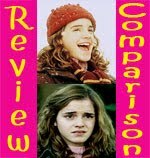 I don't know what I do without blogger tips and I love the cover comparison. Glad you're keeping Review Comparison. It's great. You should do one for Die For Me. It's gotten so many mixed reviews. I loved it as do many, but others can't spew enough venom about it. I enjoy getting your email responses as I usually use a reading to keep me up to date with the newest posts and rarely go back to an older post unless I'm looking for something in particular. I'm glad you're keeping most of your features as although I don't always comment (mostly down to time constraints! ), I do read them and your Tips and Tricks have been invaluable! I am often amazed at how you find the time to share so much with us. You and your efforts are appreciated. I'm SO glad you're keeping the discussion posts, I love them. I see you post them and I have to come and read them right away. I guess you are right about the traffic slowing down on the weekends. Although, I do feel as though that's when i have the most time to hop around to people's blogs! I'm crazy-obsessed with Percy Jackson. And with the Kane siblings. And now with Jason and Leo. Such great books! I like the email messages but if they're incredibly time consuming then there's no need to send them to me. I find that I can usually remember to check back on the previous post to see your response. Nic, Glad to hear you like the features :) I am enjoying the Percy Jackson series, though not as much as I had hoped I would. Nina, I’m enjoying it well enough. DON’T watch the movie first though. That’s what I did and it ruined the first book for me. Alison, I’ll add Die For Me to the list! I should be reading it myself this month. The Slowest Bookworm, I’ll keep sending you the emails then :) Thanks for your feedback! Alex, :P Glad you like them! Lah, You’re welcome! I do feel like I have more time on the weekends too, at least on Sunday (I work on Saturday). 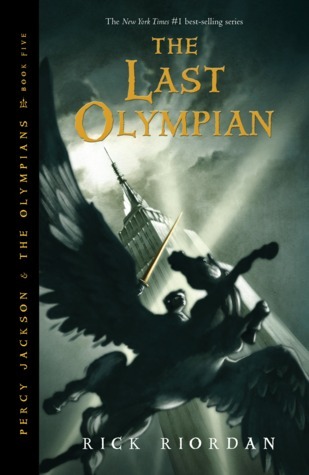 Couchpotatocritic, I can’t wait for him to finish the other series, especially with the way Percy Jackson ended! Logan, Sending you emails is not a problem at all :) I just finished PJ and I liked it. Things definitely stepped up in the final book. Danya, Hm, thank you for the info. I think I’m going to hold off then and wait until the rest are published. I’m in the middle of too many series anyway. Kelsa, Thank you for the compliment! Glad you’re liking the sidebar changes. Cialina, Yup, all done with them now! Aylee, Sending you an email isn’t a problem at all. I just want to make sure that the time I am spending is going toward things people want (and not toward annoying them with emails they don’t want).